Sugoi brand has amazing high quality and stylish products. I am blessed to own some AMAZING pieces, so I thought this Test Lab could be dedicated to the brand.. Click the names to be linked directly to the product page. I immediately fell in love with this jacket.. There are well-place pockets, it is soft, the sleeves and body are long and it is sooo cute!! I wore it about 5 times before running in it, I did not want to make it stinky :) Great for wearing around town or on the Run. I am hoping to ditch the belt and wear this in my next Fall Race. Or maybe I will keep it clean and wear every weekend while trolling around town, I am sooo torn!! 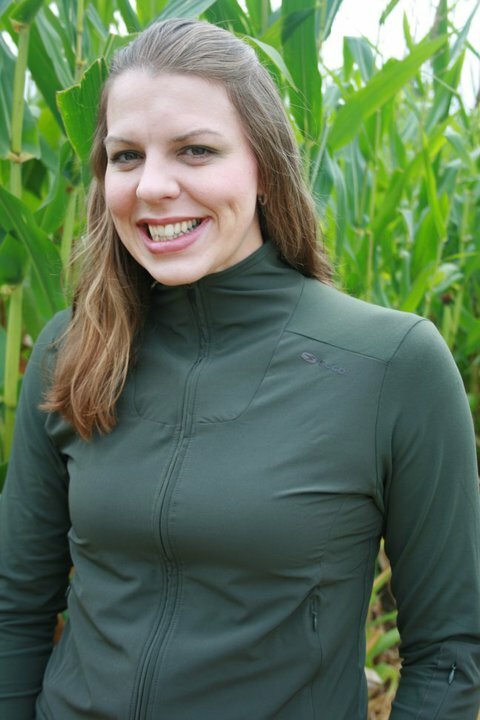 This versatile Locust Jacket has style and design that can be worn just about anywhere. The fitted style gives a flattering look, while the fabrics take care of the optimal technical elements. The Locust Jacket is currently available in the Tank Green color on sales for $50!! White skirt for a Mom...Uh oh!! I have to be sure to keep the Little Studs grubby fingers away from this ADORABLE and comfortable skirt. There is a boxer brief inside the skirt that fits snug. I am fearful of chafing on any run longer than 3 miles, so I wore compression short under, but I KNOW the skirt would work solo. I work this for 10 total miles, cute and functional. There is a small pocket that would be OK for Gu but I would not trust it to put my keys in. 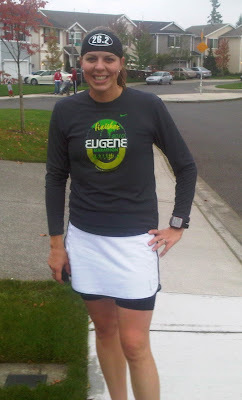 The Stamina skirt offers a fun and feminine running and fitness option. With a boxer brief and flat waistband, the skirt offers the best in comfort, which the mesh back pockets and four inch inseam adds to the Stamina skirts functionality. It is getting COLD, you need TIGHTS!! 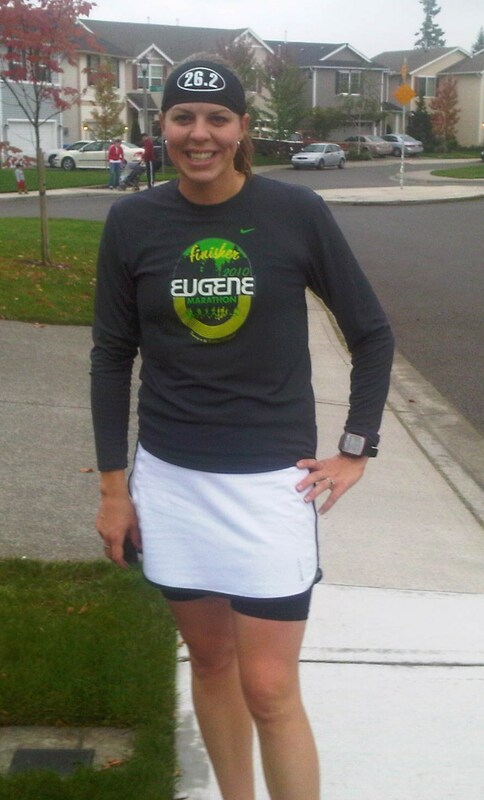 I wore these tights EVERY long run in Fall and Winter while training for Eugene. The compression really helped keep my legs fresh. Yes I often looked like Bat Woman, but it was so worth it. I was warm, my muscles were supported and I recovered much faster than before. Don't let the price tag deter you, when you figure in the cost per wear for the years you will be wearing these tights it is sooo worth it!! I have worn these 25++ times and they still look and feel almost new. Many of you commented on these Arm Warmers when you visited the Sugoi site. I am lucky enough to own a pair which I will be TESTING soon. I love the colors, the style and the fit. Arm Warmers are great for racing because if you are like me you freeze at the start but quickly warm up. with Arm Warmers you can easily peal them off and toss to your race crew or tuck in your waist band. Much easier than tying a jacket around your waist. Sooooo I updated my Race report links.. 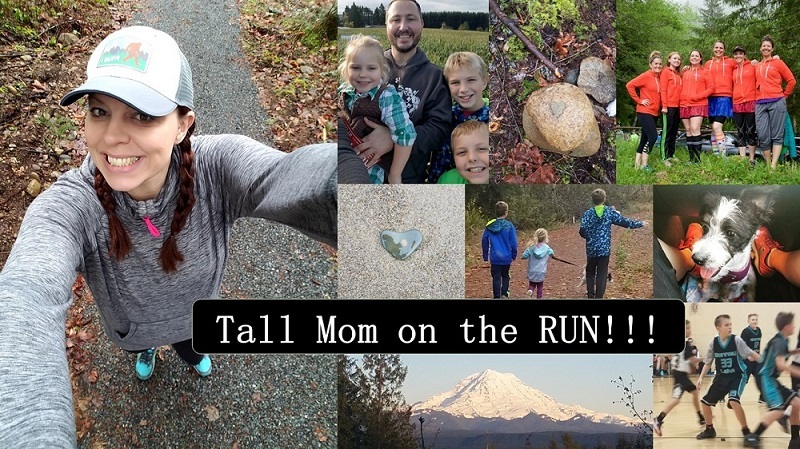 If you are ever bored and want to read all about Tall Mom on the Race, scroll down until you see the "RACES" header on the right. Simply click on any of the pictures to be linked to the Full race report. Thanks to everyone who has emailed for the 83 mile Challenge. I will be sure to rply tonight with the link. I will be taking entries until the end of this week, so don't miss out!!! I'm a Brooks ID member so I'm really not supposed to wear anything but Brooks, but I couldn't resist a Sugoi shirt with the tattoo print on the sleeves. I also have the mini skull & crossbones arm warmers, but I haven't gotten a chance to wear them yet. Should I say darn you for introducing me to Sugoi?? Found them through your link and now find myself drooling over the very items you reviewed. Darn you! Kidding, of course. But, I was glad to read your review on the tights as they are on my Christmas/Birthday/Mother's Day wish list! Thinking I'm going to add that hat as well! Love the reflectivity of it! First I need those tights! I want/love those arm warmers! LOVE IT - you look great!!! The jacket fits you perfectly. Love it. That jacket is super cute! And I LOVE those arm warmers! The arm warmers are going to be added to the TOP of my christmas list!! And mama will not be happy if Santa forgets to put them in his sack. Score on all the swag! Love that Sugoi jacket. I need some tights this year... I've never worn them before! Those arm warmers are awesome!! I'm gonna have to check those out. Oh and the long tights....I need to get some full legnth tights now that it is getting cooler. And just wanted to make sure you got me in on the challenge! :) I've been making a dent in my miles!! Sugoi makes a great product. I wear their stuff for winter cycling (and that's real winter) and love it. I've got the Pistons on my wish list. They'd be great for those frosty long winter runs. I love Sugoi stuff! Great reviews! Love this locust jacket..It looks great on you...Wishing I could buy one. Are the Piston 200 Tights long enough for you? I have been looking at them for a while but I can't bring myself to buy them because I am afraid they will be too short. I am also 6'. Thanks. 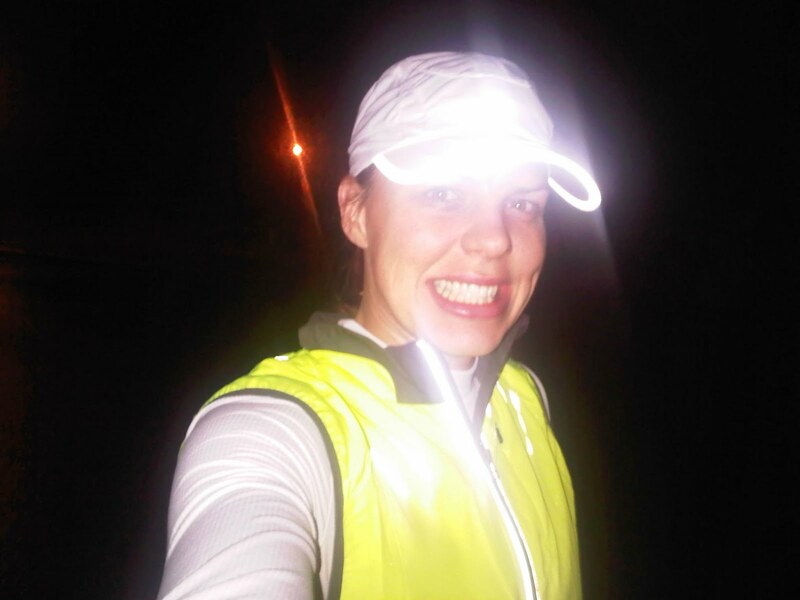 That reflective gear looks good. Fall/winter is when we need it! Those arm warmers are adorable! Have you ever worn arm warmers with pockets? I've never run in cold weather, but I'm doing the Disney Marathon in January and will need to wear something warm.